Apartments, medical clinics, schools and universities, condos, HOA communities and industrial parks will need at some point parking lot repair, resurfacing, or a restoration. Recruiting someone experienced in asphalt paving will help the project move forward quickly without the errors commonly found with newer contractors, such as not staying on schedule, arriving late or not at all, not enough workers for the job and underestimating the material needed. Seattle WA Paving employees are permanent and full time, receive ongoing training, offered paths to advancement and are offered valuable benefits. We own all our equipment- nothing is rented. Plus, we preform maintenance at regular intervals on our fleet of industrial specialized paving machines and trucks. Absolutely, no fears necessary over rental equipment failings to push back your schedule. When stormy weather prevents some of our work, we inform you immediately to work out an alternative. Keeping clients informed displays our respect, generates goodwill and takes little effort on our part. Correctly done the functional role of asphalt parking lot is critical to the safety and overall impression of users. Whether you’re building a parking lot or restoring one, if poorly done the resulting puddles, potholes, and cracks creates an unwelcome and possibly unsafe experience for customers, guests, residents and other users. We are well aware our reputation is under scrutiny each time we win a new client so we make sure each step of the process is double checked by crew leaders. Our business is promoted mostly by word of mouth, thus completing expert work improves our reputation thereby increasing successes. Concrete components of parking lots, such as curbs, drainage gutters, sidewalks, parking lot islands, parking barriers, dumpster pads, and concrete bollards are also installed by Seattle WA Paving. Unlike other asphalt paving contractors, we handle the complete build of your parking lot from grading the lot to applying the pavement marking- no need to coordinate with other contractors. We own the equipment necessary to produce straight beautiful curbs for the edges of the parking lot, security or landscape islands and sidewalks so no worries about availability of rental equipment. Plus, dealing with one company instead of two is less expensive. Parking lots expectations- most people just want to get in and out of a parking lot quickly and safely. Parking Lot owners want the maximum parking capacity while, at the same time, meeting all regulations necessary by their city. Seattle WA Paving has been building asphalts parking lots for years that meet the needs of both business owner and public user. Our goal is to build asphalt parking lots that are affordable, excellent workmanship, long functioning, and easy to maintain. We have crew leaders checking the work constantly to make sure of correct compaction, asphalt is at correct temperature, base is built strong and stable and drainage is proper. Client satisfaction is what drives our successes so we work hard to make it happen. Common installation errors are reviewed with crews periodically. Also, we require cross training so employees will recognize if something requires a fix before moving on. Drainage issues cause parking lots to fail prematurely. Water must be kept from infiltrating under the parking lot and causing damage to soil. When the soil becomes saturated with water, it will lose its solid form, causing the pavement above to breakup under use. Care must be taken to drain water runoff to a drainage field or sewer. Washington's autumns and winters are considerably rainy, on average, it rains 150 days a year- making this a important climate condition that must be planned for. Seattle WA paving inspection, when requested, will evaluate for these very serious grading or drainage problems that could possibly damage your planned parking lot. Parking lots can be easy to maneuver or a pain- remember those times you had to back up your car in a parking lot because the aisle abruptly ended in a dead end. I tend not to return to those ill planned parking lots. Seattle WA Paving will work with clients’ designers to help build the type of parking lot that will be most beneficial to users and property owners. We want to build our clients an easy to maneuver parking lot that will function without problems for decades at the lowest possible price point. Pavement ​cracks in your parking lot allows water to possibly infiltrate down into the subbase. This disrupts the pavements stability and wears it down till the crack widens into a fissure and finally into a pothole. Our commercial sealing services will cover fine cracks and restore a protective layer against weathering. Only if, the asphalt parking lot is in generally good condition, without a lot of alligator cracking and potholes, can it be helped with a sealcoat. ​ Call Seattle WA, Paving and ask for a complementary parking lot inspection. No commitment is expected on your part. you've nothing to lose. We can help improve the lifespan of your parking lot by repairing faults before they lead to even greater problems and save you some maintenance costs. ​Larger cracks in the pavement can be repaired many different ways- it really depends on the type of crack, for example alligator cracking, block cracking, reflection cracking and many others. The crack causes and its possible solutions will be addressed. 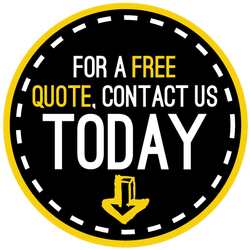 Our goal is to promote the most affordable, long lasting and low maintenance repair that will meet your specifications. Alligator cracking across more than half of an asphalt parking lot could be caused by aged brittle worn out pavement which may take a complete rebuild. Alligator cracking can also be caused by a subbase that has collapsed- in such a case the subbase will have to be repaired and then paved over again with asphalt. The parking lot is best checked out by one of our managers, during a free site inspection, they'll know if repairs are warranted or if you'd be throwing money away on something that will go bad in a short time then may advise a full redo. You would be wise to question a paver that just wants to overlay a large expanse of alligator cracking- the cause should be examine first and rectified. Potholes are repaired by removing all lose broken asphalt from the hole, subbase damage is repaired and a tack coat is applied to the pothole, including along the sides of the hole to improve the bonding of final asphalt patch. Finally, the asphalt patch material can be tamped into the hole and compacted to match the surrounding pavement. ​We can quickly fix the above parking lot problems without a lot of disturbance to your business. We can work one small section at a time. Plus, we have no problem working on weekends or early evening. Rainy weather in Seattle forces us to be very flexible. Periodic sealcoating protects the pavement from the ravages of sun, wind, and rain which ages the pavement to a light grey color. When the asphalt pavement becomes light grey, it has lost flexibility and will start breaking up as vehicles are driven on it. Sealcoating periodically will keep the flexibility in the pavement and push back pavement breakups for almost double the original expected lifespan of the parking lot. Many times, novice users will apply the sealcoat too thick causing cracking and pooling of the sealcoat which causes slippage between the pavement and sealcoat. We use the best product, there are several to choose from, for you particular application, and will apply it correctly- our reputation depends on it. Since asphalt pavement is flexible it is best compacted properly when it has strong non-flexing boarders, like curbs, to contain it. Concrete pads placed under loading docks and waste pickup strengthens those areas where heavier loads are regularly expected- making stress fractures less likely. Concrete drainage systems are better at repelling water than asphalt. Concrete is stronger, longer lasting, and requires less maintenance the asphalt. Seattle WA Paving can build all concrete elements in a parking lot. This gives an advantage over our competitors that can provide you with better pricing as well as less hassle scheduling. Plus, we're less likely to cause errors for other contractors because we know understand all parts of a parking lot job.